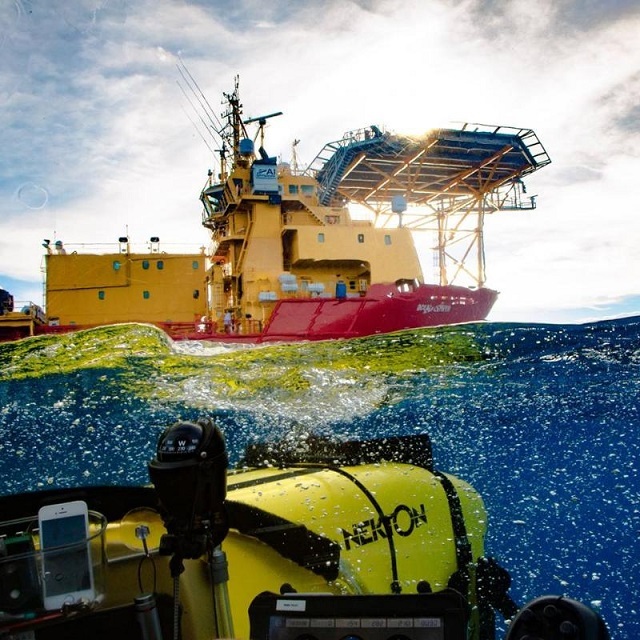 (Seychelles News Agency) - Researchers currently exploring the depths of the Seychelles’ waters through the Nekton Deep Ocean Exploration have reached the halfway mark despite challenges, said the head of the mission. Oliver Steeds told SNA via Skype that the group has faced a number of challenges since heading out in early March, including bad weather and cutting the cable to the remotely operated vehicle by accident. The team is exploring up to 500 metres deep. “There are challenges in expeditions like this, especially when deploying multiple pieces of high-tech equipment. What we are doing in this particular way has never been done before,” said Steed. 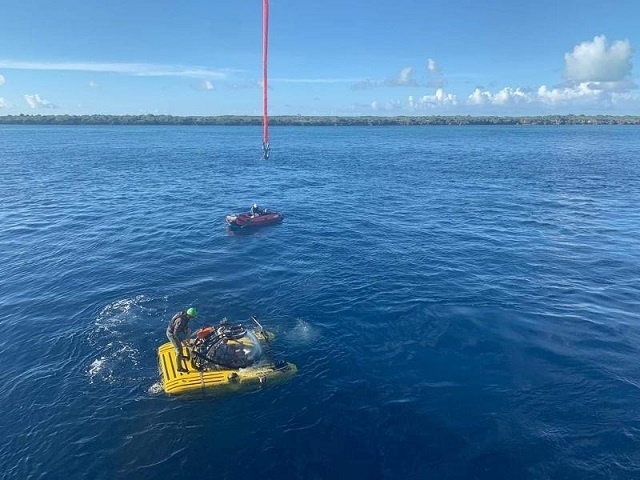 The underwater expedition reached Astove, located 1,000 kilometres from the main island of Mahe, last week where researchers experienced strong currents but were still able to conduct initial surveys and map the seabed. From Astove, the expedition will move to Desnœufs and Desroches islands before returning to Mahe, the main island of Seychelles, an archipelago in the western Indian Ocean. The expedition is set to return to Port Victoria late in the evening of April 17 or in the early hours of April 18. Steeds said researchers are collecting as much data and samples as possible and that scientifically it is difficult for the team to say what they are discovering. “Much of the work will be post-expedition when an analysis of all data collected is done both in Seychelles and the UK,” he told SNA. Steed said such research is vital to helping the island nation understand its vast ocean territory which spreads across 1.4 million square kilometres. 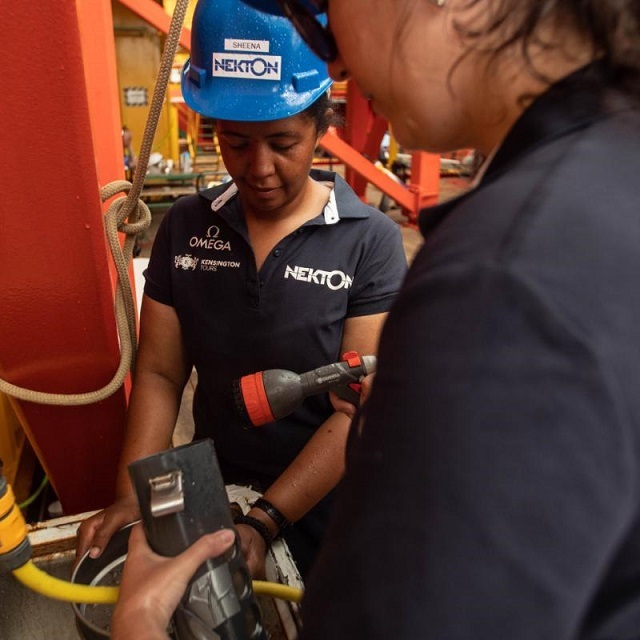 Sheena Talma -- a conservationist and marine biologist in the Ministry of Environment, Climate Change and Energy -- is part of the Nekton mission. In addition to Talma, there are six other Seychellois participants and they are JenniferAppoo, a science and projects coordinator at the Seychelles Islands Foundation (SIF), Damien Labiche, assistant conservation officer for the Ministry of Environment, and conservation volunteers Clara Belmont, Stephanie Marie and Andrew Souffre.